Collecting client inquiries and user feedback is crucial for a business. They are useful to find new opportunities, strengthen the existing network, and build your brand identity. Which is the best option to connect with your audience? Interact with them regularly through contact forms, surveys, polls, lead forms, and others. Then, you need a powerful form builder plugin on the website. It allows you to create forms for any purpose and customize them as you need in such a way to engage with your visitors. Today we’re going to compare two popular WordPress form builder plugins. WPForms and Ninja Forms. Both plugins are great in quality and offer advanced features to develop a perfect form page to increase your sales. WPForms is a simple, easy to use form builder plugin for WordPress. Whether it’s a regular contact form or a newsletter signup form, you can create a highly converting form in a few minutes using the plugin. Drag and drop functionality lets you design and re-order the form fields easily. WPForms is the right choice to create user registration, post submission, surveys, polls, quizzes, and any other form types without any developing knowledge. It creates responsive forms that load fast on the desktop, smartphone, and tablet and won’t let you lose leads from these sources. Spam protection is another advantage of WPForms. You can prevent spam form submissions with Captcha, honeypot, Math Captcha or by adding custom questions in the forms. A form builder plugin’s possibilities are limited if it’s not integrated with the third-party apps properly. But WPForms is well integrated with leading email marketing and payment solutions to detect opportunities and boost your income. Ninja Forms is an allrounder contact form plugin for WordPress. It is a flexible and intelligent solution in designing user-friendly forms in the site. Ninja Forms lets you change the form layout quickly with drag and drop fields. It gives you full control over the form customization and you can manage any form part effortlessly through the settings. The plugin is best for lead collection, newsletter subscription, front-end posting, user registration, and many others. It allows you to collect user data on form submissions and also track submissions with Google Analytics integration. Ninja Forms supports a wide range of email marketing, payment, and CRM tools to keep up the changes and win over your competitors. Ninja Forms has a smooth and beautiful interface that will make you addictive to the tool. It is fast, mobile-friendly, and loads form quickly irrespective of the device types. WPForms is an all-in-one plugin to create any kind of form in WordPress. It helps you to create a simple contact form or a professional level user signup form in minutes. Spam protection and third-party integrations are some other features that make WPForms a leading form builder plugin. On the other hand, Ninja Forms lacks many of these features and sells app integrations separately. 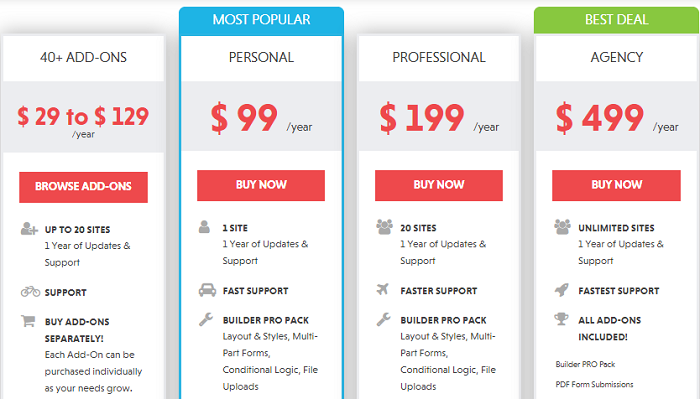 Each of them costs from $18 to $49 for a single site. It is really expensive and not affordable for beginners. 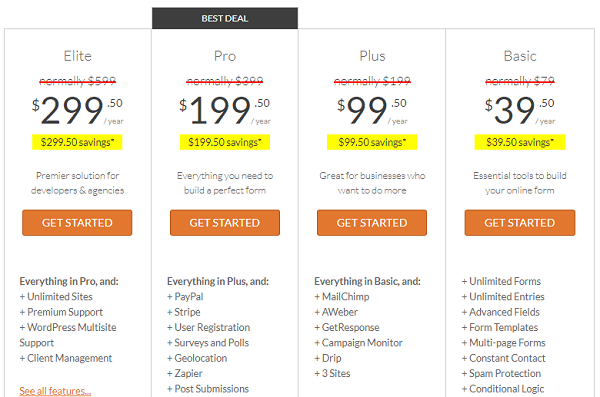 WPForms charges $39.50 (limited time deal) for the basic plan. It comes with all essential features like unlimited forms, form templates, multi-page forms, conditional logic, spam protection, file upload, custom CSS, custom Captcha, and so on. Ninja Forms charges $99 for the personal plan. It doesn’t contain any email marketing add-ons and you should buy them individually as I said before. But for the same price, you will get at least 6 premium add-ons with WPForms Plus subscription. 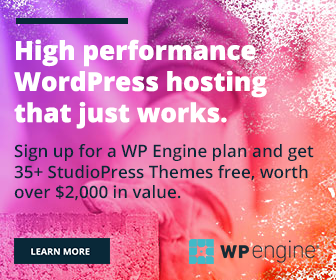 If you want to use Ninja Forms in multiple sites, you should opt for their Professional plan which costs $199 per year for up to 20 sites. But unfortunately, it doesn’t offer any extra premium add-ons in the plan. You should buy them again separately. WPForms’s Pro plan is the best alternative in this category. It costs $199.50 (limited time deal) with support to 20 websites and premium add-ons like PayPal, Stripe, Surveys and Polls, User registration, Zapier, Post submissions, etc. While considering features and cost, WPForms is the best form builder plugin for WordPress. It provides several unique tools and integrations over Ninja Forms to design an authentic form that can actually convert your visitors to regular clients. Whether it’s a small website or large business portal, WPForms has different types of plans to match your needs. All their subscriptions come with 24/7 customer support and 14-days of money back guarantee. Read WPForms vs Gravity Forms: Which is the Best Option?